This video came out today on Apple’s YouTube page. After it was up for only two hours, it already had 20,000 views and currently has almost 80,000. The main point to the video is to show off that they are using clean energy. They are building a 40-megawatt solar farm in China that will power all of their offices across the country, all of their offices are powered with clean energy already, and they are generating 12 million kilowatt hours of energy in Oregon using hydropower. This is one of the most genius marketing tactics for Apple. It may not seem that significant, but there is a lot to this whole idea. Across many different developing countries, there is a huge wave of consumer consciousness that includes issues like sustainability. This is a bigger factor than ever right now. 55% of global respondents in Nielsen’s survey say that they are willing to pay more for products and services from companies that dedicate themselves to creating a positive social and environmental impact. That is an increase in 50% in 2012 and 45% in 2011. Regionally, respondents in Asia-Pacific (64%), Latin America (63%) and Middle East/Africa (63%) exceed the global average and have increased 9, 13 and 10 percentage points since 2011. So knowing that, you can see why this is such a big deal, and why the video is absolutely genius on Apple’s part. Check it out! Need to rent any Apple products for your next event? Click here. Apple’s iPad has become a popular device for watching things like Netflix and streaming television shows through various apps and services. However, the iPad isn’t particularly great at the discovery of the streaming shows, which have a tendency to be scattered about. 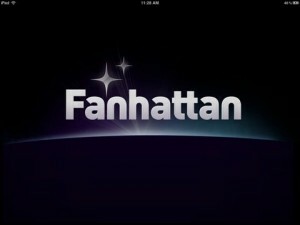 But fear not, because the latest version of the Fanhattan app takes a small, albeit needed, step toward helping iPad users find and stream their favorite television shows. The one thing devices like the iPad are missing is a better centralized search-and-discovery dashboard. The Xbox 360 realized that when it added Bing, which allows shows to be found through any of the console’s available video apps. Fanhattan on iOS has been offering a similar functionality with the its database of movie and TV show information, along with a launchpad for video on different services like Netflix, iTunes and Hulu Plus. The only downside is that the selection of video apps that Fanhattan has access to isn’t quite as extensive. Fanhattan’s latest installment, available on the Apple App Store, adds HBO, Cinemax, NBC and The CW to its repertoire, displaying show availability in searches along with launching the apps from within Fanhattan. While the change is small, it is still important and helps make the app a better catch-all video search tool. In addition to that, the app update adds a personal Watch List feature that tracks show and movie availability. 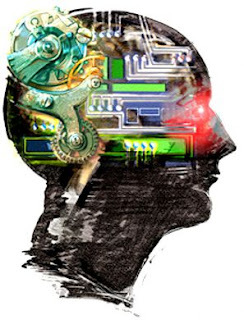 With this update the total number of video services that Fanhattan can discover increases to 12 and includes: Netflix, iTunes, Hulu Plus, HBO Go, PBS, YouTube, ABC/ABC Family, Cinemax, NBC, Lifetime, Crackle and The CW. However, users are upset at the lack of other services, like EPIX, Adult Swim, Vudu, and Amazon Instant Video. Bing on the Xbox 360 is still an all-around better service for finding all your favorite television shows and movies, though you need an Xbox 360 for that. If you like to watch your favorite movies and television shows on your iPad then Fanhattan is an app you should definitely look into. The app itself is far from perfect but it is the best offering for iOS devices currently available. Whether you love it or hate it, whether you think it is incredible for the music industry or running it into the ground, Apple’s iTunes IS one of the biggest things to happen to music in recent years. One thing that stands out about iTunes is that you can get more than just music. You can buy movies or even apps off of iTunes and you can even rent movies. However, it is in that field, movie rentals, that iTunes may be getting its first real opponent. Since supposedly finalizing deals with multiple major movie studios, Google is all primed and ready to start a Video on Demand movie rental service via YouTube that is said to challenge the dominance of Apple’s iTunes movie store in the market of Video on Demand. YouTube began offering movie rentals about a year ago but has yet to rent out mainstream movies. Instead, YouTube offered movies from mostly independent studios. Google, however, plans to build the service with the imminent launch of a movies on demand service that includes major Hollywood studios. Mainstream movies have been quietly added to YouTube with rental prices ranging from $1.99 to $3.99. According to a YouTube spokesman, “We’ve steadily been adding more and more titles since launching movies for rent on YouTube over a year ago, and now have thousands of titles available.” The spokesman declined to comment on the rumored launch of major studio films. The report has stated that movies will become available on YouTube the same day they can be rented at video stores or on iTunes, which is ahead of subscription services like Netflix. “What’s really good about their approach is rather than another subscription offering, they’re going into a fresh area where there have been fewer leaps forward,” said one studio executive. Apple began offering movie rentals via iTunes back in 2008 with a major launch that included all of the major Hollywood movie studios. The initial rate for a movie rental was $2.99 with HD versions and new releases costing more. After their purchase, customers had 30 days to begin watching the movie and 24 hours to finish once playback had begun. 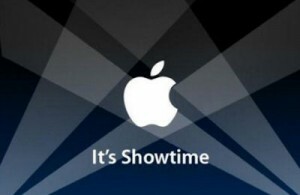 Research group IHS revealed earlier in the year that Apple had maintained a 64.5% market share of the online VOD in 2010 while also losing some share to Microsoft and Sony. In 2009, Apple controlled 74.4% which does not count subscription services like Hulu or Netflix. Apple generated $1.4 billion in revenue from the iTunes online store in the most recent March quarter, however, it is unclear what portion of those earnings consisted of movie rentals.